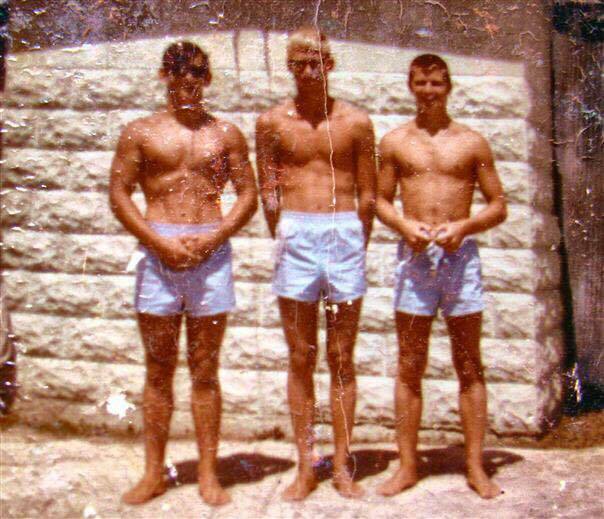 Photo By: Photo By: Leland Lee Rusty Lough Randy Koski Robert Arter Crystal Pool Life Guards 1964. 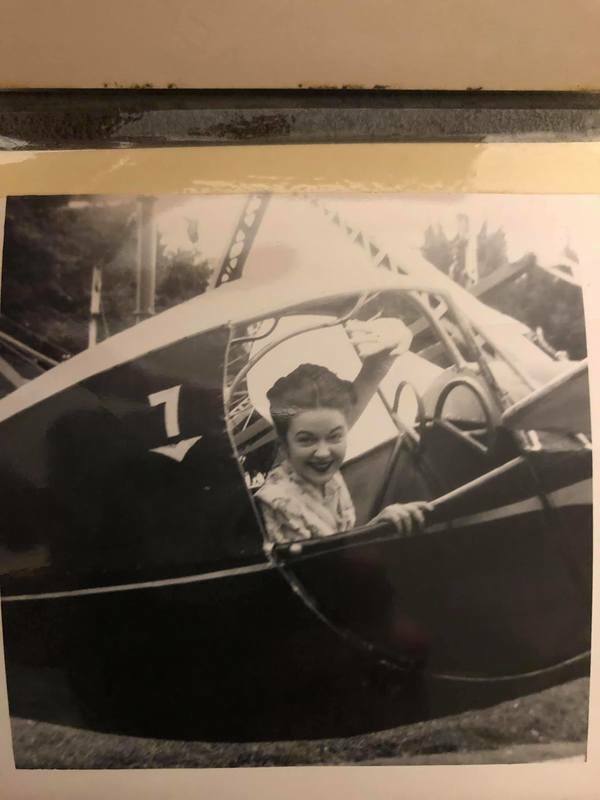 Linda Kerr Waldrop "In 1956 my brother in law Leon Waldrop operated the WHIP. He let my husband (Larry Waldrop) check under seats for loose change and he got to have many free rides." 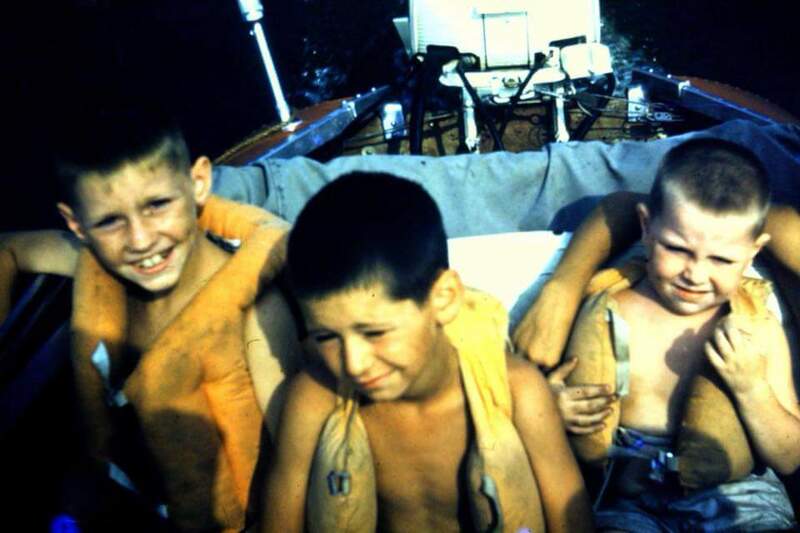 Linda Davis "Yes, the first ride my best friend and I ever went on in our pre-teen days. Her parents, Bill & Eileen Foyer, came out the the BLYC every weekend, and we came along. The ride out in the back of their station wagon was always a treat. We always add a few dollars to go to the park. One time we worked up enough courage to go to the fortune teller, what a great time we always had. 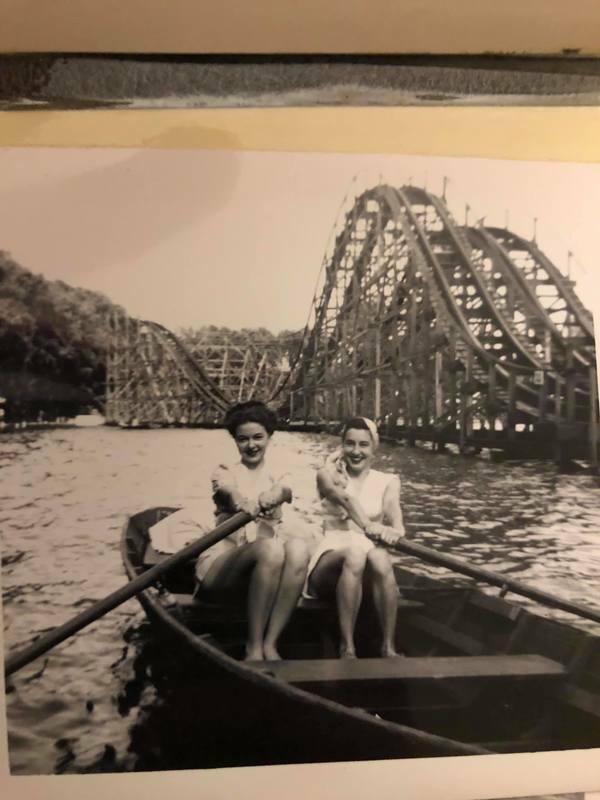 Vic & Carol Doritan are members now, but Vic jumped off the pier out front, when I dropped my glasses in the water, he didn't find them..but what great memories and fun we had in the early 60's. Skip Persinger Life is good at Buckeye Lake... but I miss the Buckeye Lake Park, weekend nights taking my boat to the park. Ride the rides and have some fries w/vinegar. Leaving Hunts Landing and watching the Blue Goose sign reflect in the water as I drive my boat to Thornport. Following the J.B. Taylor paddle boat watching the swells break over my bow. Fred Abrams Pics from the end of 3rd street. We lived in the last house. 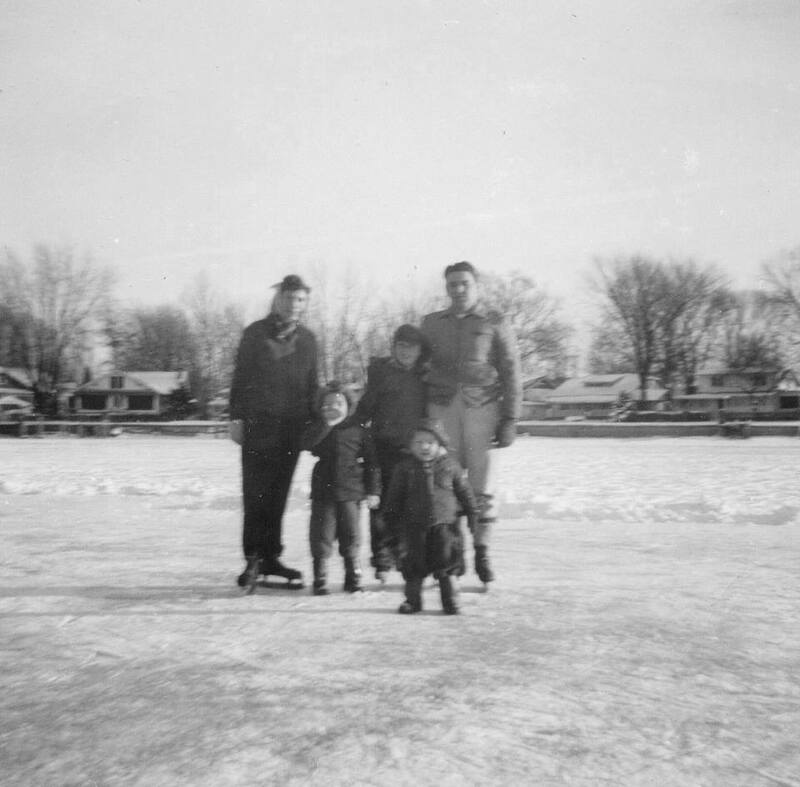 Fred Abrams I think this was Crane Lake (Little Lake) right beside the park! Fred Abrams I am in Newark at the moment so I don't have access to all of my pics. When I return to Missouri I will try to find more. 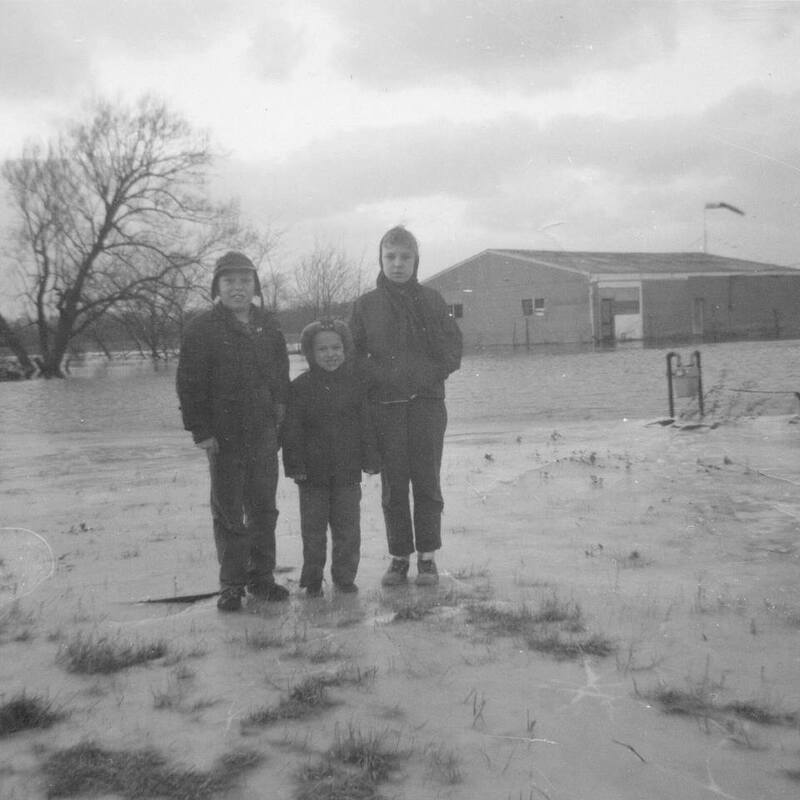 Here are two pics of the Buckeye Lake Airport, one of them during the Flood of 59 I believe. Glenna Damron Use to go almost every week end in the 70's. Penny Goble Loved going to smiittys for breakfast. Jo Ann Werner Noll Yep. Sellers Point!! 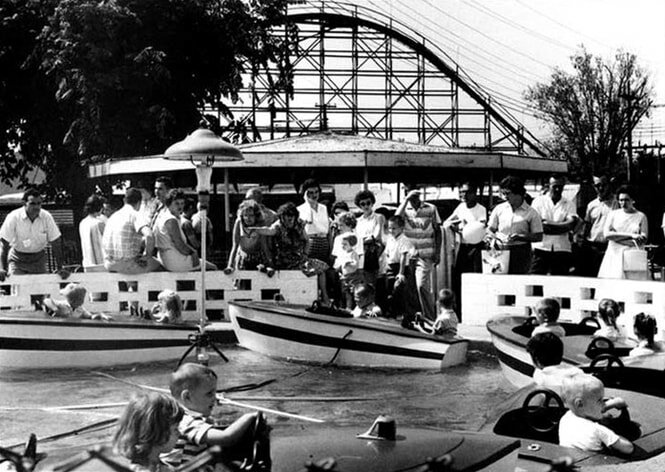 Penny Goble Loved the Blue Goose. Always my favorite place to hang with family and friends. I have many photos to dig out. 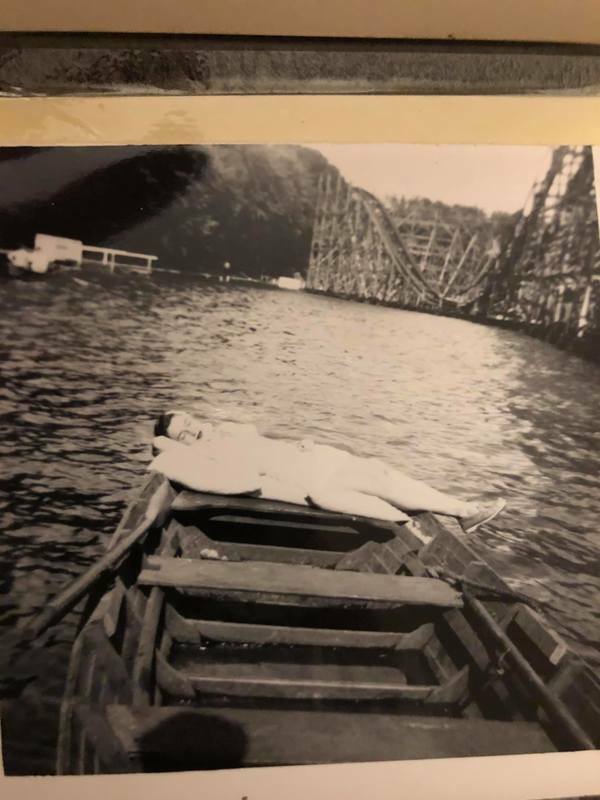 ​Thought I would share the photos we found today from July 1950. 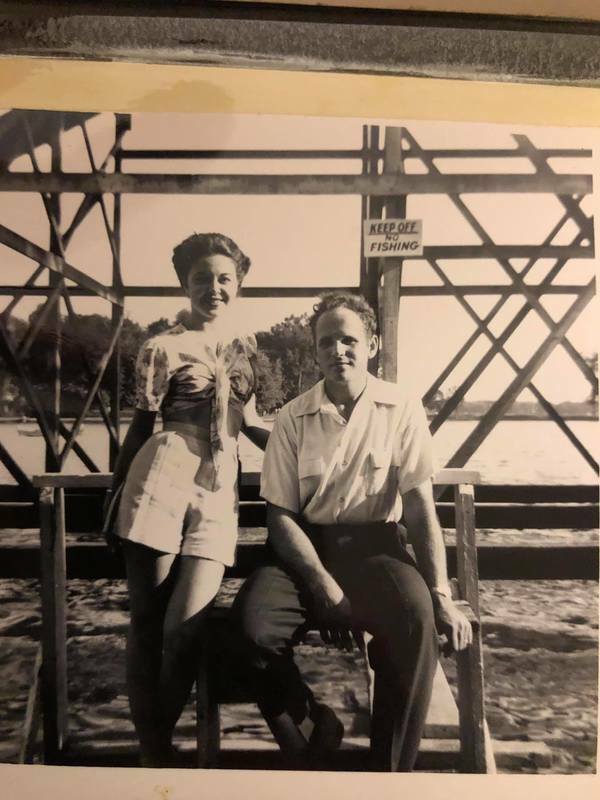 It’s my husbands parents at Buckeye Lake. 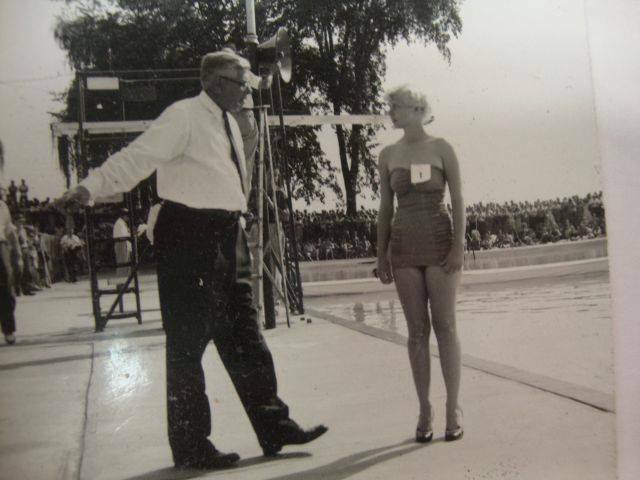 Barb Reilly The pool at BLPark was where my aunt taught me to swim. 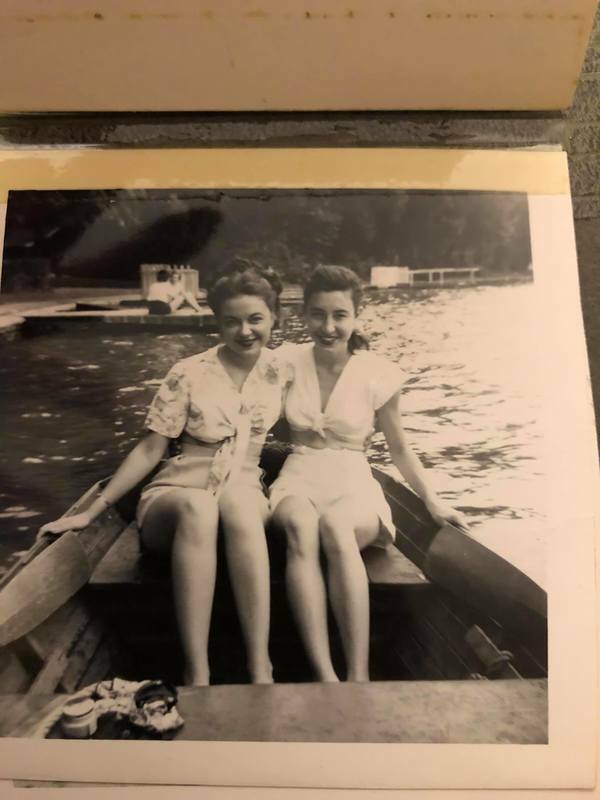 Grandparents and uncle had cottages there for years. Loved fishing off the dock. Swimming boating. Lots of baseball games between cousins and catching lightning bugs after dark. 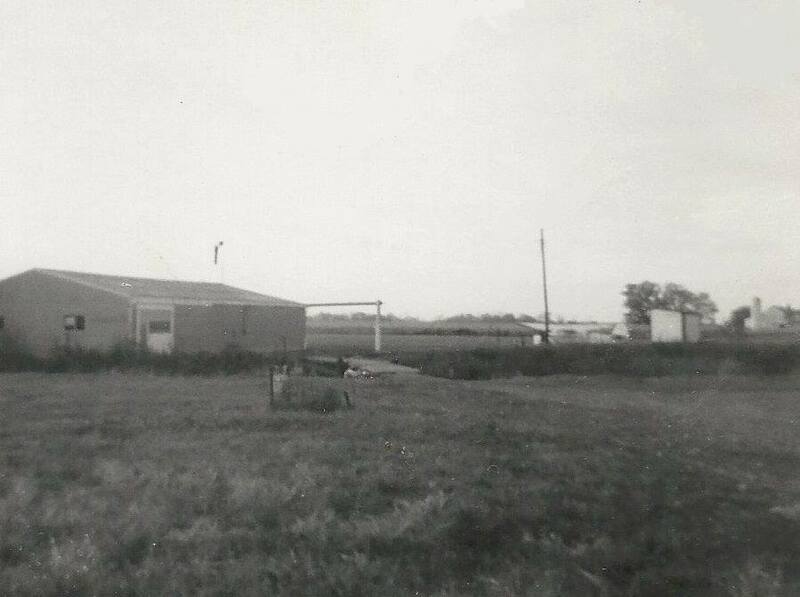 Grew up at Buckeye Lake at Custers Point, with my grandparents. 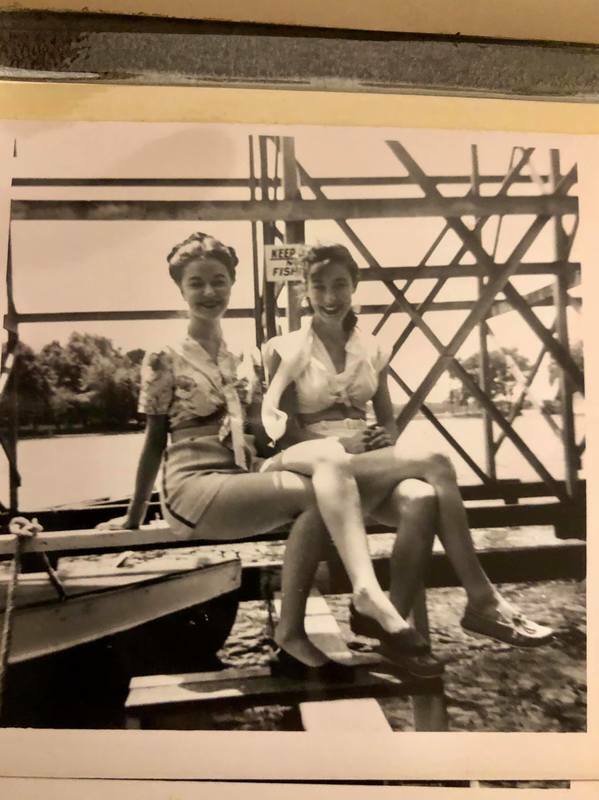 (I think that was the name of the place) They had a trailer and small building on their lots and their names were Ray and Dean Williams. Good memories of those times. Nancy Melvin It was Delongs Landing where my grandparents had their home away from home. They lived in Lancaster. Ooh, I have one of those on my frig! My Mom, Mary, brother Rickie & me!